A headscarf is an iconic fashion accessory that can be worn in hundreds of different head scarf wrapping styles. You probably have your favourite way of how to wear a scarf on your head, but there are lots of equally cool ideas. Check out 4 best tutorials on how to tie a headscarf! The best news about a headscarf is that it’s suitable for all kinds of hair: whether you have a Teeny Weeny Afro or are one of the lucky girls who knows how to tie hair in different styles because her own hair is super long, any head tie tutorial works for you. To learn how to wear a headscarf with short hair, you don’t need any preparation, since most of your hair will be concealed by the scarf. However, if you have long hair, you can either leave it as it is, so that it’s visible under the scarf, or tie it into a bun above your forehead, so that most of it is hidden under the scarf. Wondering how to tie head scarf African style? Start with this easy way of how to wear scarf on head fashionably that is perfect for beginners! Wrap the scarf around the back of your head and keep the too loose ends over the forehead. Twist the ends of the scarf together until there is no fabric left. Twist the scarf around itself in the centre of the forehead and continue twisting until the whole length of the scarf is wrapped in a bun. Tuck the loose end of the scarf underneath the bun. This is what your tied head scarf should look like in the end! 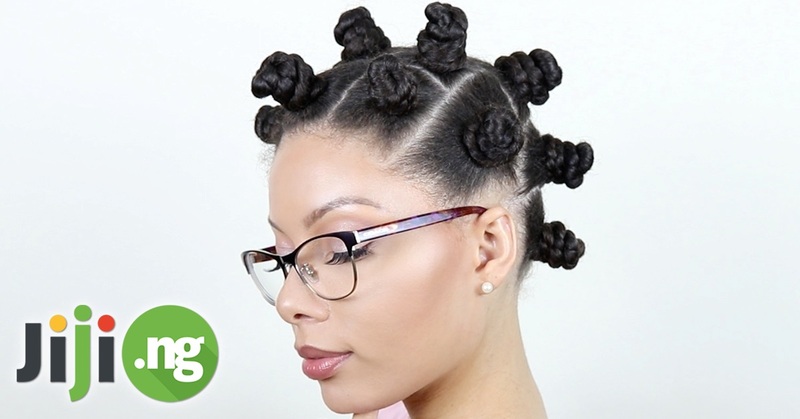 The next head wrap styles step by step tutorial is designed to create a little volume on top of your head – if you have plenty of hair, skip the first step of the tutorial, and if you don’t, follow every step! Take a smaller head scarf, tie it into a loose bun, and place it on top of your head. Take another scarf, put it over the smaller scarf or your own hair tucked in a bun, and wrap the back of your head, stretching the two ends to the front. Cross the two ends of the scarf in the front, stretch them out to the back, wrap around the back of your head, and stretch the ends back to the front. Tuck the loose ends of the scarf underneath the folds of the scarf in the front. This is what the whole style should look like. For the next tutorial on how to wrap hair with scarf African style you will need a wider scarf – a beautiful pashmina will do perfectly! Take your scarf, centre it around the forehead, and stretch the two ends of the scarf to the back. Tie the ends of the scarf into a loose knot on the back of your head. Braid the two ends of the scarf together until there is no fabric left. Wrap the scarf braid around the front of your head and tuck the loose end of the braid underneath the scarf on the side of the head. This is what the scarf should look like in the end. One of the most popular head wrap styles for short hair is to use a second scarf to create volume – but, like in the tutorial #2, you can try this head wrap tutorial with your natural long hair. Form a smaller head scarf into a bun and place it on top of your head. Take the main scarf you’re using, wrap it over the bun from the back to the front of the head. Stretch the ends of the scarf to the front and cross them. Twist one end of the scarf into a tight braid and wrap it around the bun, tucking it in the folds of the scarf. Repeat step 4 with the other end of the scarf. This is what your scarf should look like in the end.